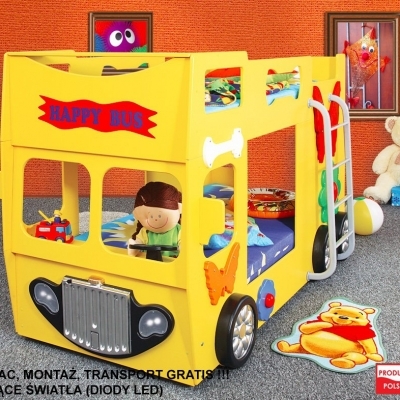 Unique bed for children in the shape of a happy bus available in four colors: red, blue, yellow and green. LIGHTS - Equipped with LED lighting. 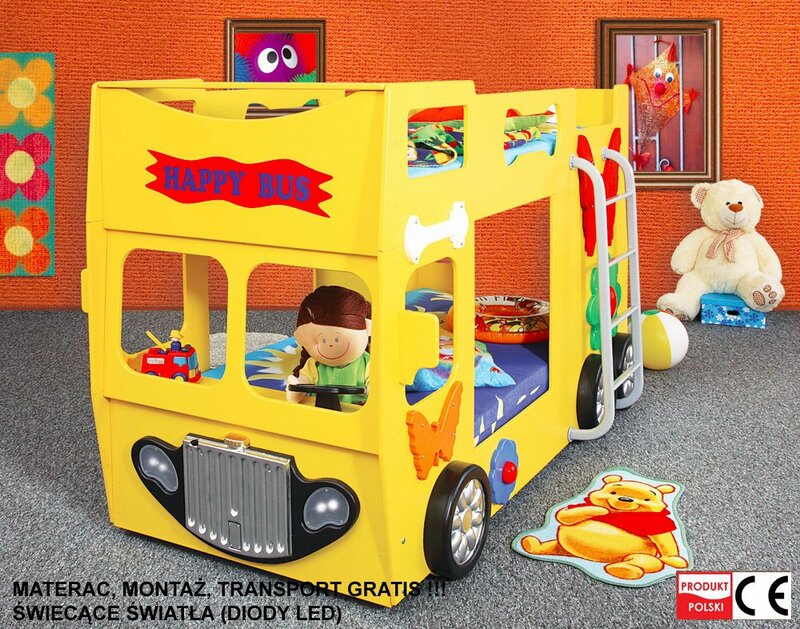 The bed is made of chipboard, and the housing is made of coloured acryl. The bed is sold with a mattress.